With fall quickly approaching and forecasters predicting a cold, snowy winter, we thought now might be a good time to remind everyone of the great Honda Power Equipment we have available to rent or purchase. Runyon Rental is proud to be an authorized Honda dealer and service center. Nothing beats a Honda mower for quality and reliability. Durable and fuel efficient, the twin blade design of Honda mowers offer a superior cut and produce finer clippings, which make better mulch. Smaller clippings mean less bagging and who doesn’t love that! 4-in-1 Versamow system allows you to mulch, bag, discharge and chop leaves without additional tools or attachments. Has a 21 inch cutting width, 7 mow height adjustments and a 2.5-bushel bag capacity. Now that our gardens are beginning to wind down, it’s time to think about getting the soil ready for next year. With a Honda tiller you can make easy work of tilling up your plants and adding in mulch and compost to leave your soil properly set for the cold temperatures. Made from quality materials, these tillers churn even the toughest dirt into rich loamy soil. They are easy to start and with intuitive controls, easy to use. The powerful 4 stroke engine does the work in one pass. Ergonomically designed, Honda tillers won’t wear you out while you tackle the toughest garden projects. Tired of never having the right tool to use on your yard? Try Honda’s VersAttach System, which offers two powerhead options and six different attachments – edger, line trimmer, blower, hedge trimmer, pruner and cultivator for the ultimate in versatility. Whether it is a powerful thunderstorm or a strong Winter snow storm, being left in the dark is no fun. 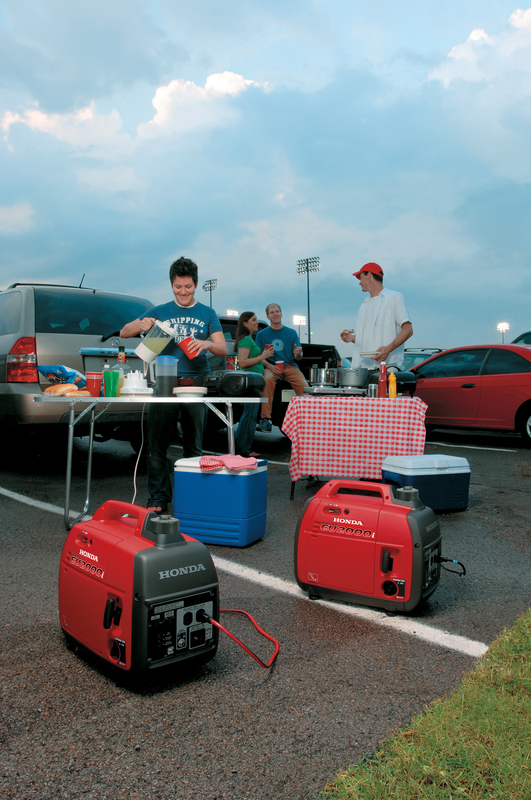 Be ready with a Honda generator. There is a perfect sized unit for whatever your power needs are. Super quiet – perfect for using next to your RV or camp site, too. Compact & lightweight – less than 29 lbs. Fuel efficient – can run up to 8.1 hrs. on 1 gallon of gas. Inverter – supplies a stable source of power for computers and sensitive appliances. Oil Alert – shuts the engine off when oil is low. Can be paralleled – multiple generators can be tethered to supply additional power. Preparing for Winter weather means getting ready to clear snow off your driveway and walkways. Nothing takes on the white stuff better than a Honda snow blower. The self-propelled auger drive can throw snow up to 33 ft. while clearing a path 20 inches wide. Get your blower just the way you want it – track driven or wheeled, electric start or recoil. With Honda’s reliability, this workhorse will be around for years to come. Already own Honda equipment? 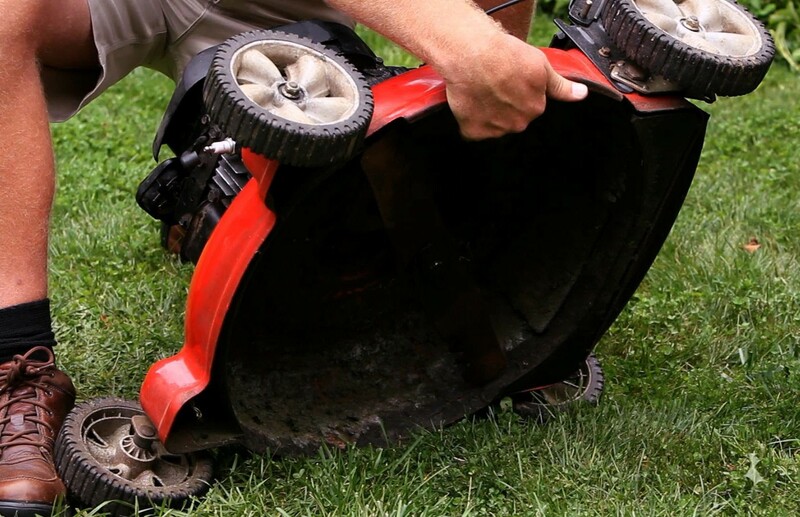 Then bring your mower or snow blower in to be serviced by our certified Honda technicians. When you are ready, let us winterize your garden gear for you. From mowers and tillers to generators and snow blowers, our expert staff is always on hand to help with your equipment needs. Not sure what equipment you need for your Fall DIY to-do list? Check out the other popular pieces of equipment we offer in our blog, Top 10 Most Popular Runyon Equipment Rentals for Fall. As always, if you have any questions about pricing or how-to’s, don’t hesitate to contact us. Stop by our store — we’re open seven days a week.